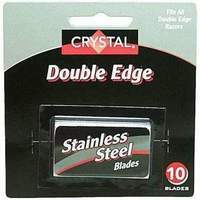 New Item - Cryo Tempered Crystal brand double edge razor blades. These Stainless Steel Double Edge blades fit all double edge razors. Made in Israel. 12 packs of 10 blades each (120 blades total). 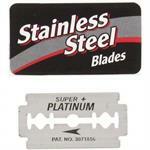 The blades fit any standard double-edge razor handle.